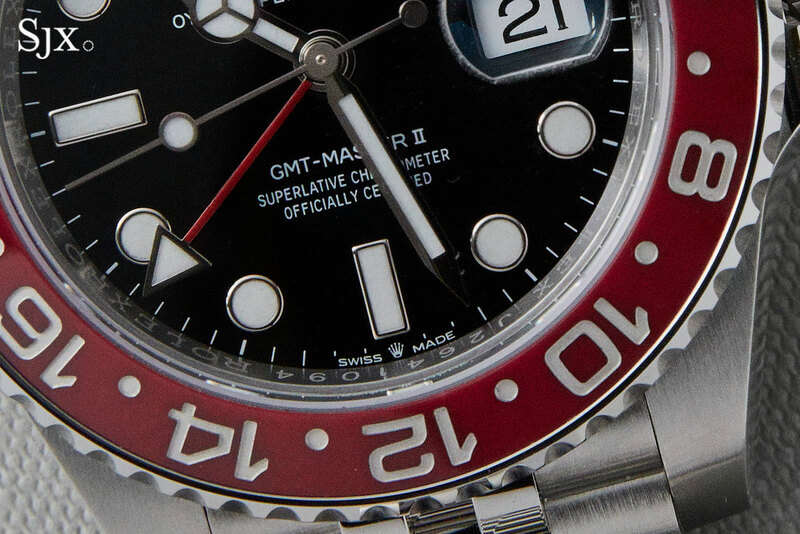 With a small number of unchanging sports watch models, with a good number that are best-sellers or even iconic, Rolex just needs to make relatively modest upgrades for a watch to be a huge hit. 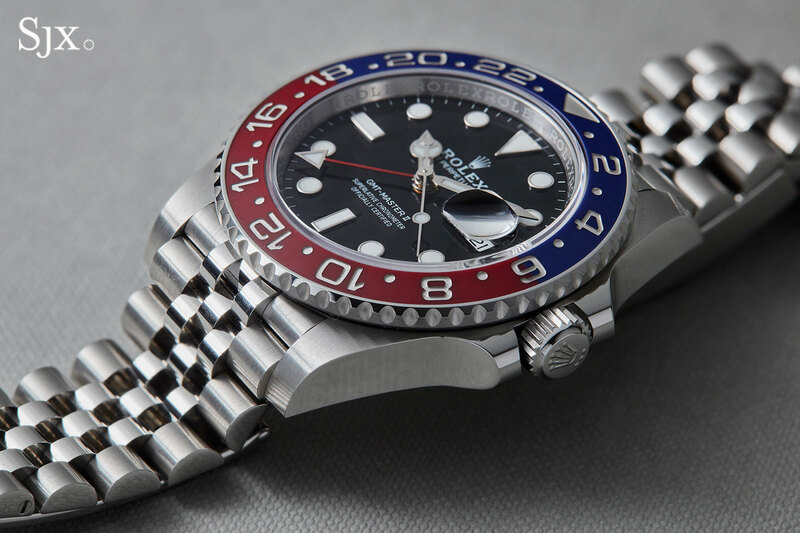 The new GMT-Master II “Pepsi” launched at Baselworld is one such watch. 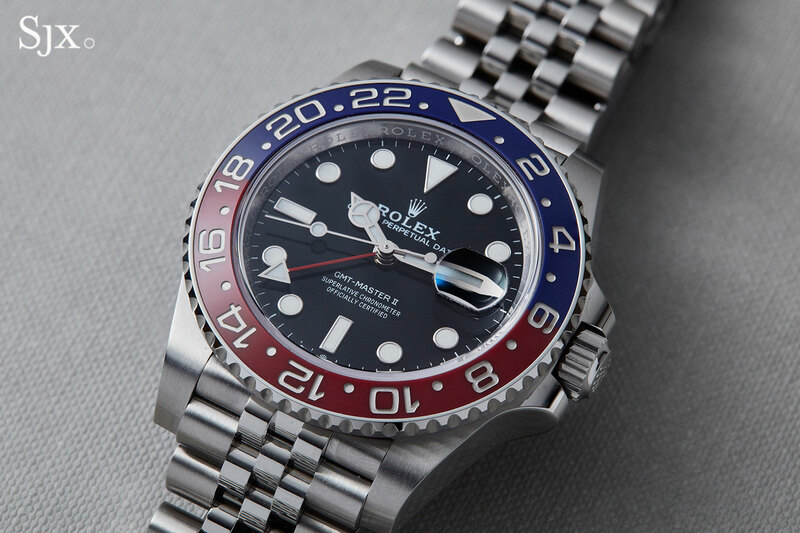 Design-wise it’s not a new idea, combining the classic red and blue GMT bezel with a Jubilee bracelet, an option that was available once upon a time, many generations of GMT-Masters ago. But as is the case with many a Rolex, while the look stays constant, the intrinsic qualities of the watch are thoroughly modern. Function-wise it remains exactly the same, with the hands able to track two time zones, and with the bezel, a third. 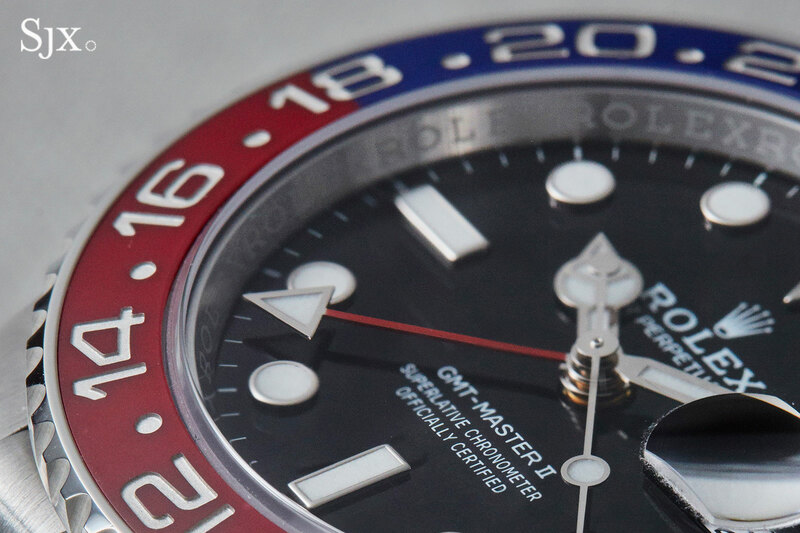 The bezel’s colour comes from its ceramic insert – the two colours on a single piece being a Rolex patent – which has platinum-plated engraved markings, exactly the same bezel as found on the white gold GMT-Master “Pepsi”. The new Jubilee bracelet – and it is the first time Rolex has given the Jubilee bracelet the extendable Oysterclasp – gives the watch a different look, one that is almost retro. Physically the Jubilee bracelet feels softer, with the smaller links making it more pliable than the Oyster bracelet, though there is not doubt the bracelet is as solid as it can be. The links are solid (but whether they have wear-resistant ceramic insides found in other Rolex bracelets is unknown), which means the bracelet won’t stretch like earlier generations of Jubilee bracelets. More important than the aesthetic upgrades is the mechanical one, with the watch having the cal. 3285 movement. It’s a latest generation movement, taking the place of the cal. 3186 found in all GMT-Masters till now. The cal. 3285 boasts all the features common to the latest generation calibres, all of which are eminently practical improvements: namely a three-day power reserve (compared to 50 hours for the cal. 3186), as well as a patented wheel train and Chronergy escapement designed for maximum efficiency. 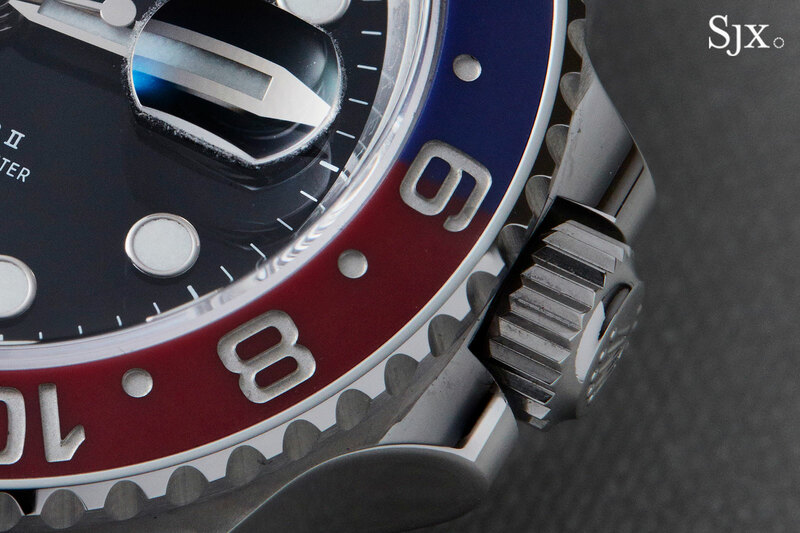 The presence of the latest generation movement inside the GMT-Master II is indicated by a subtle symbol introduced with the 2018 releases. A tiny coronet at six o’clock, sitting in-between “Swiss” and “Made” distinguishes models with the latest movements from similar models with the previous generation of movements. 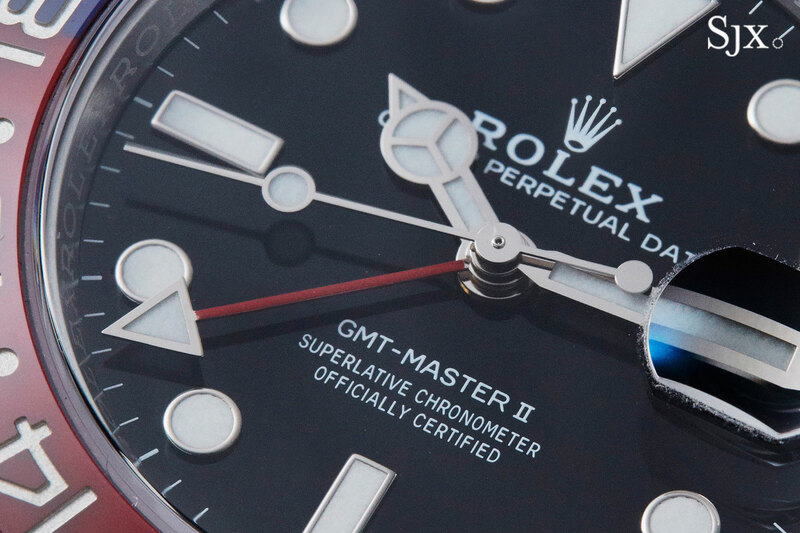 So while the new GMT-Master II has the coronet at six, the other steel GMT-Master watches do not. And on that point, the white gold “Pepsi” with a black dial (ref. 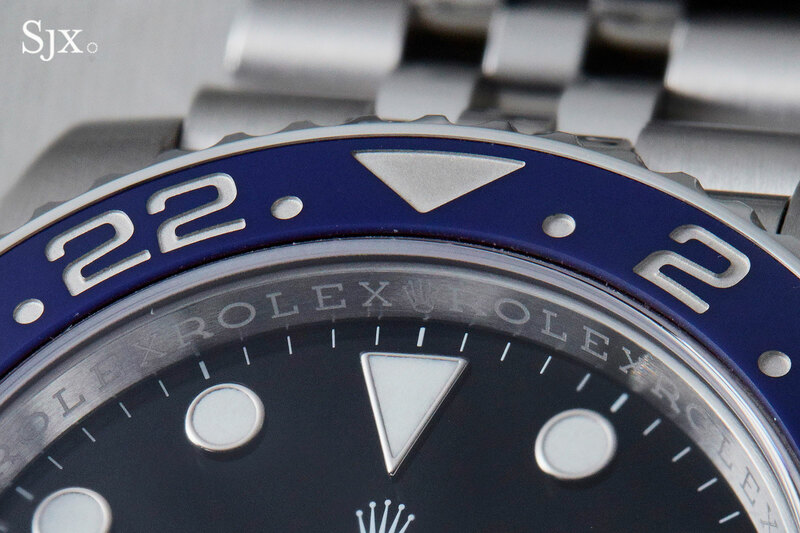 116719 BLRO-0001), has been discontinued and replaced with one having a dark blue dial (ref. 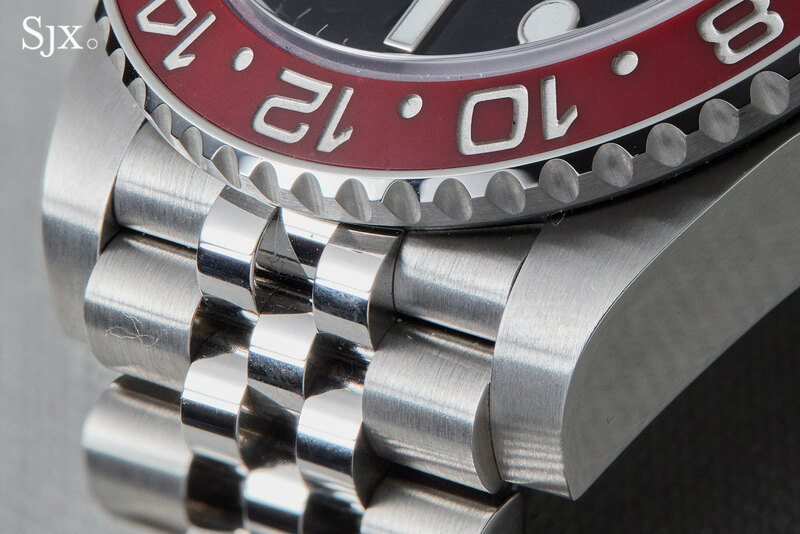 116719 BLRO-0002), clearly distinguishing it from the new steel model. 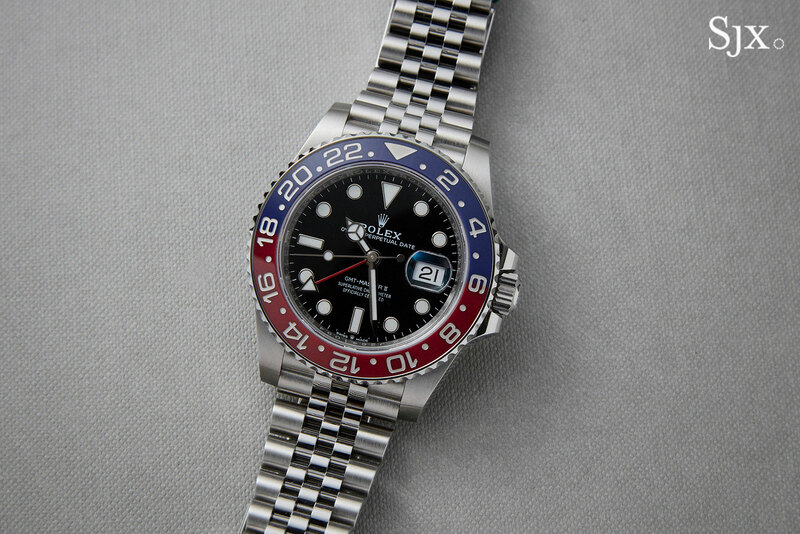 Available starting May 2018, the GMT-Master II (ref. 126710 BLRO) is priced at US$9250 or SFr8800.